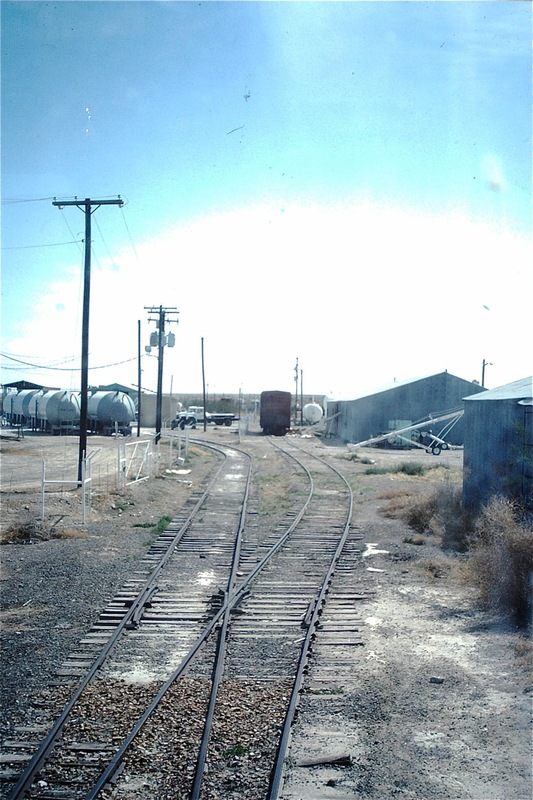 Now we are going to focus on the hometown railroad of Pecos, the Pecos Valley Southern. Our ace photographer was there to capture it in the 1970 and 80s. 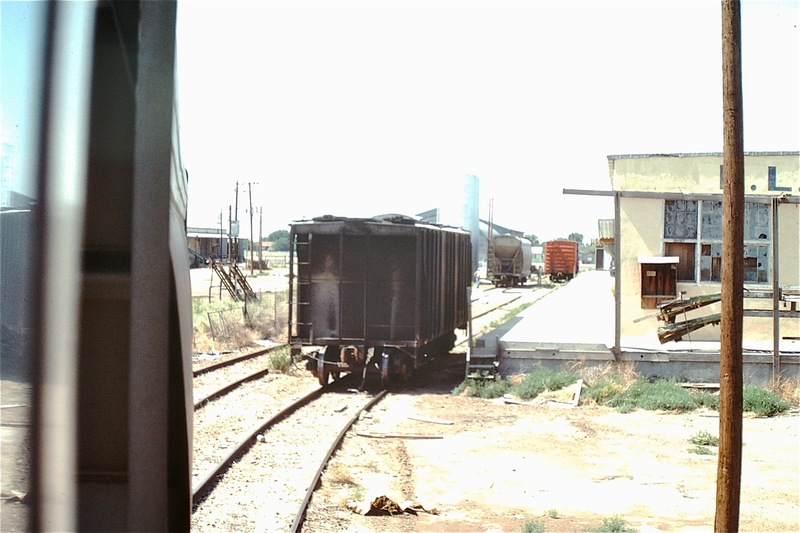 Below are images he captured in 1980 around the City of Pecos. 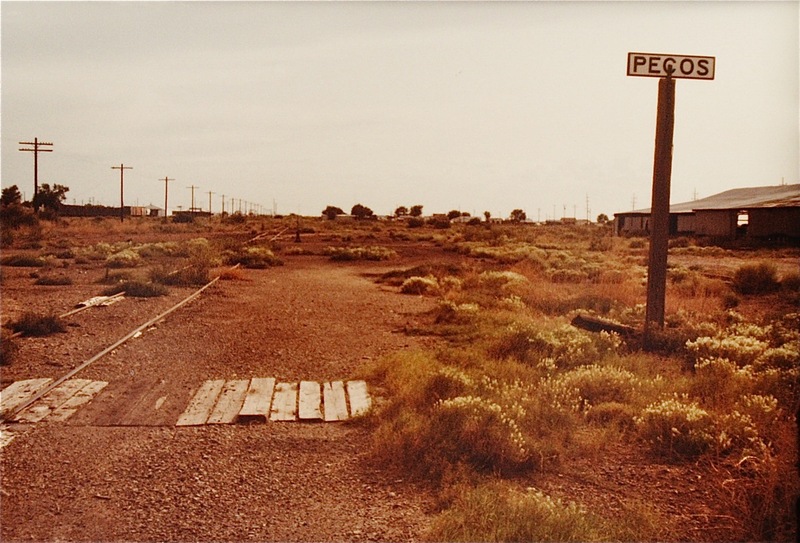 Pecos had been the site of an airbase in WWII. Some of it was re-purposed to support industry after the war. 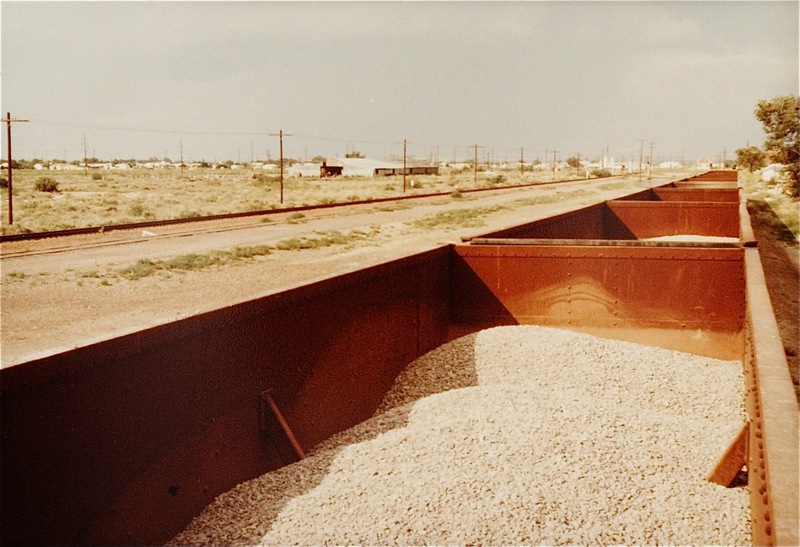 Above represents West Texas railroading to a “t” in the 1970s–one boxcar here, a covered hopper or two there, a gondola here, etc. It featured a lot of one or two car shipments. We will see more of that as we venture further south in the next post. 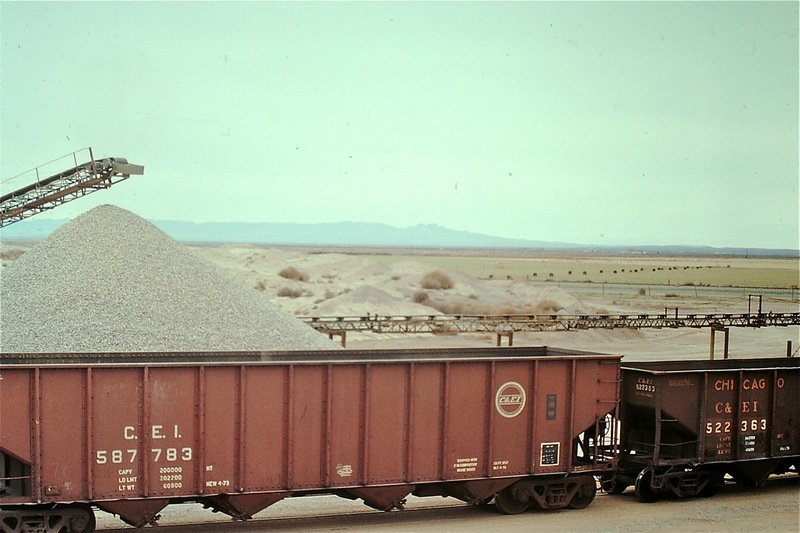 South of Pecos sits a quarry which has been at various times a very important source of traffic for the railroad. 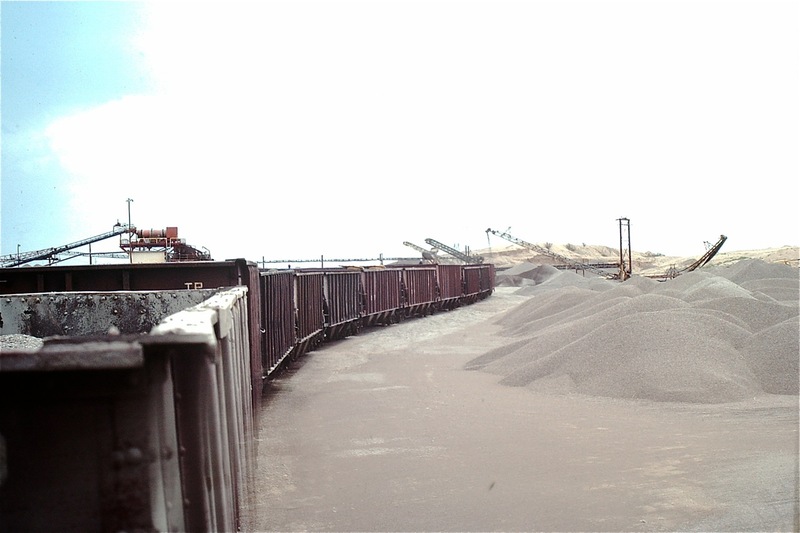 Below are images our photographer captured around the quarry in the late 1970s. It remains today today but has changed sides of the highway since these photos. Next post we will venture further south to a part of the PVS that for the most part no longer exists towards Saragosa and Balmorhea. Readers have asked me to re-post this because some had difficulty seeing some of the photos. This is an enhanced version with more background…even has a couple of book recommendations! I will finish the Delaware series soon, but I thought it is time to spend a little time out west again. We will visit Pecos, Texas in the 1970 and 80s. The first part will focus on the operations of the ATSF. 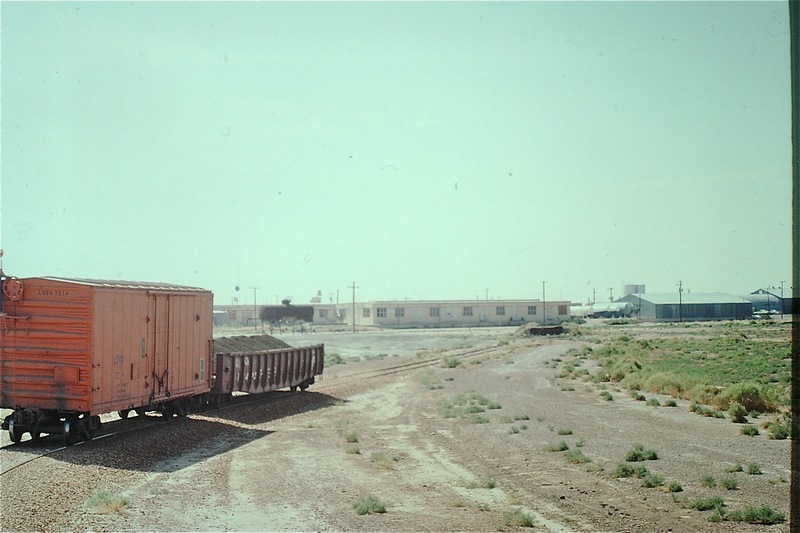 The ATSF ventured south of Carlsbad all the way down to Pecos in the 1970s. By the way, Pecos is known for a lot of things, its sweet cantaloupes and being the site of the “world’s first rodeo” on July 4, 1883 among others. 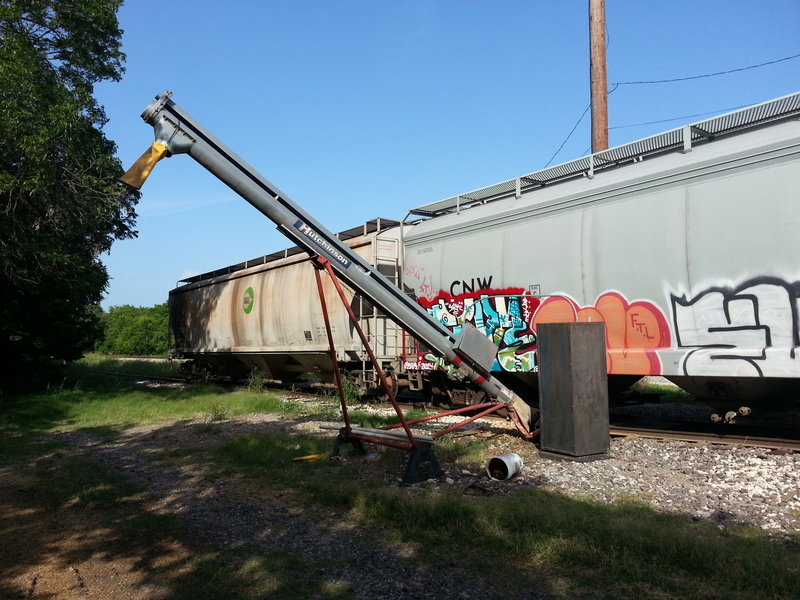 The second part will feature the operations of Pecos Valley Southern (PVS) RR. 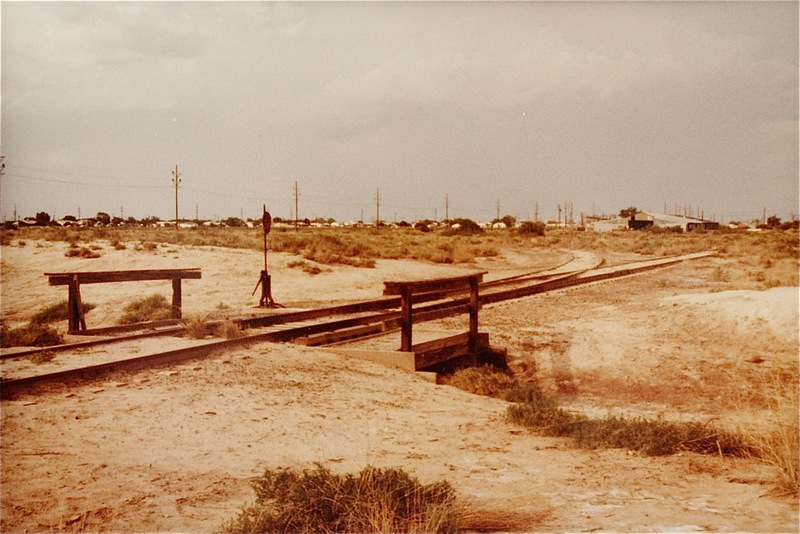 The Pecos Valley Southern is still operating 23 miles of track south of Pecos. Thanks to some great photography from a friend, we will visit both as they operated in the 1970 and 80s. Looks like images out of the The Last Picture Show, I’d say. I almost found myself looking for Sonny’s black pick-up in the background. Of course, any aficionado of that great movie knows it was mostly filmed in Larry McMurtry’s hometown of Archer City, Texas (which is a long ways from Pecos). It is truly a work of art if you haven’t seen it. It evokes the “quiet desperation” of humanity like few films do. McMurtry was the author of the novel upon which the film, very ably directed by Peter Bogdanovich, was based. I highly recommend a number of McMurtry novels including some of his lesser known works, such as Some Can Whistle and All my Friends Are Going to Be Strangers. 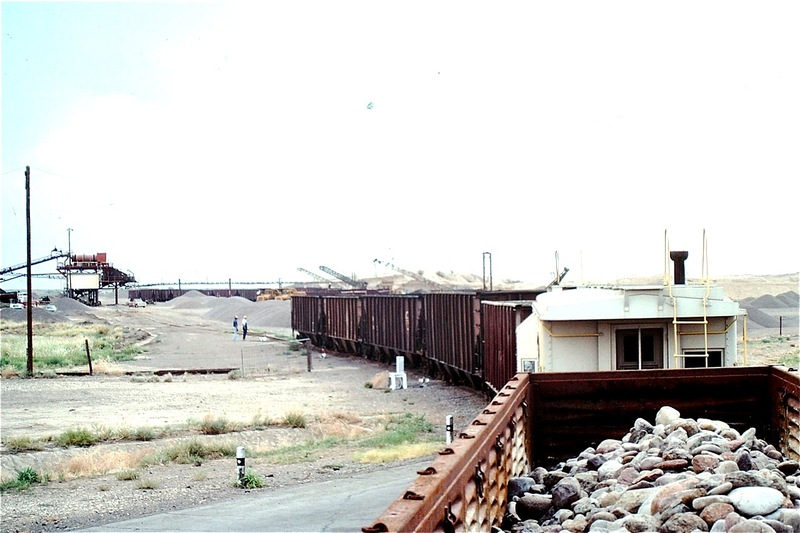 Obviously, the ATSF traffic to Pecos had become pretty light by 1982 when the above photos were taken. Our photographer did catch a little action on the ATSF in Pecos in 1978. The ATSF interchanged with the Pecos Valley Southern and Missouri Pacific in Pecos. Just like the Last Picture Show, all good things come to an end. 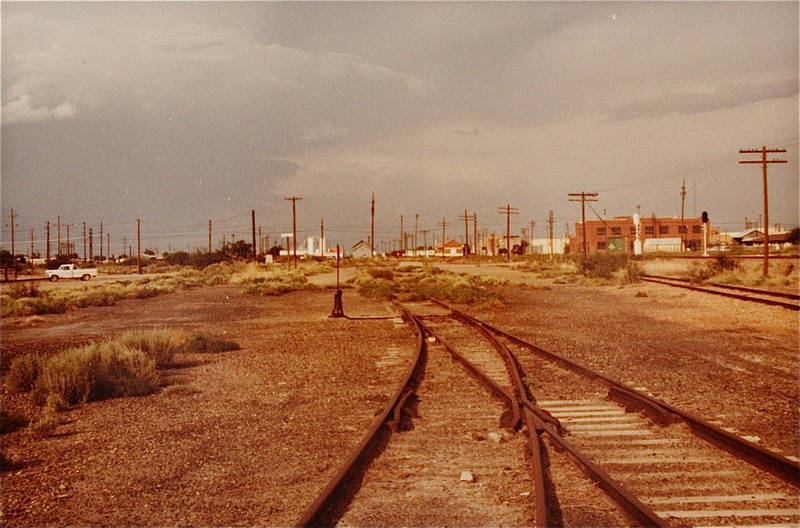 The ATSF line to Pecos (everything south of Pecos Jct.) was abandoned in September, 1990. 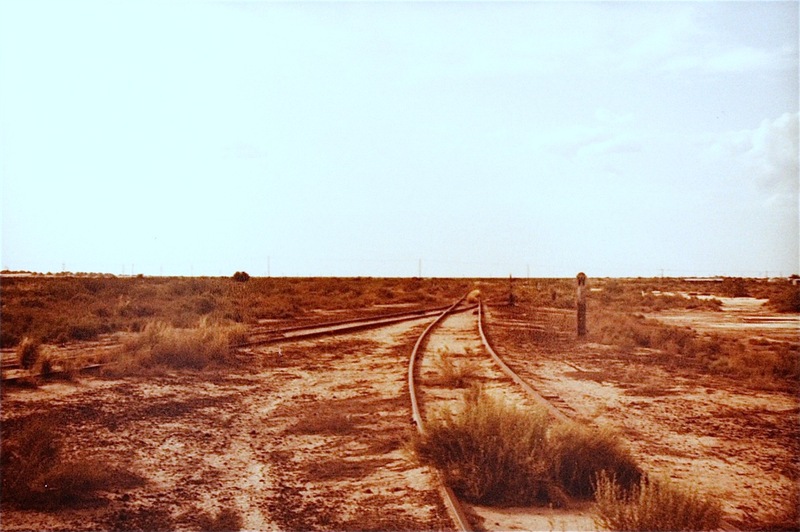 The line to Rustler Springs in Texas and all trackage south of Loving, NM was abandoned in 2002. 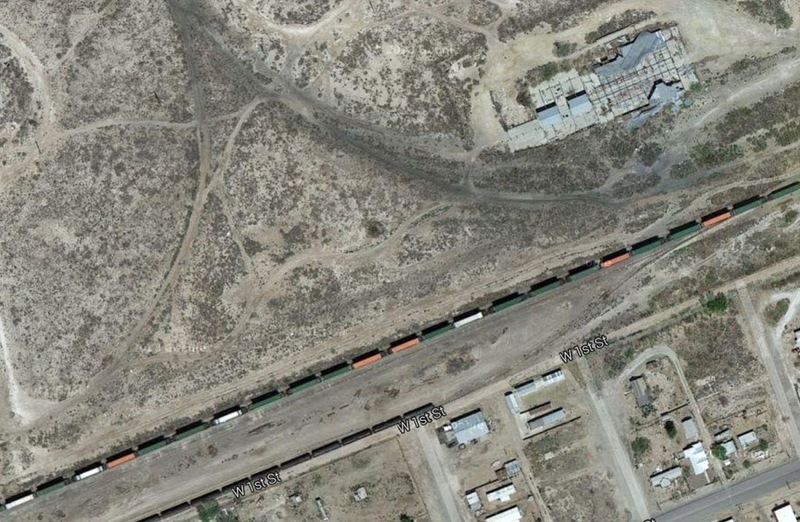 You can still see where the ATSF wye was in this modern aerial photograph. In part II, also due to the fine work of B. Smith, I will highlight the Pecos Valley Southern action during roughly the same period. 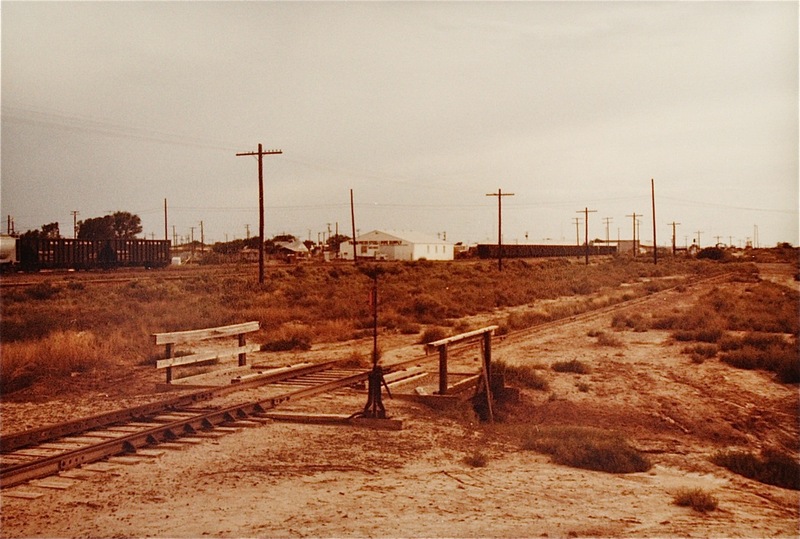 We will visit Pecos, Texas in the 1970s. The first part will focus on the operations of the ATSF. 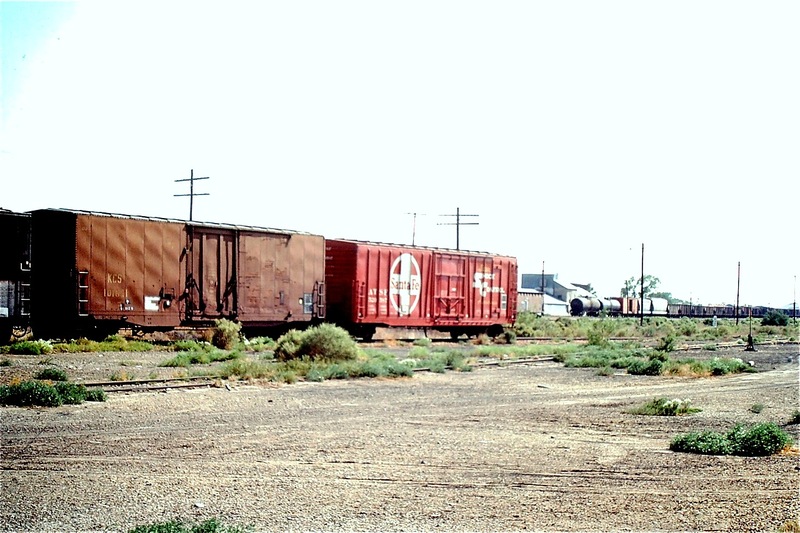 The ATSF ventured south of Carlsbad all the way down to Pecos in the 1970s. Looks like images out of the The Last Picture Show, I’d say. The traffic to Pecos had become pretty light by 1982 when these photos were taken. Our photographer did catch some action on the ATSF, in 1978. 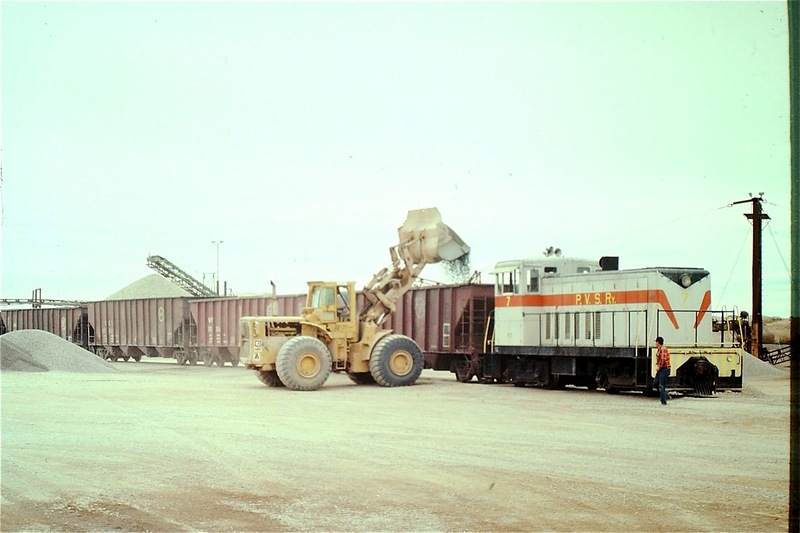 The ATSF interchanged with the Pecos Valley Southern and Missouri Pacific in Pecos. 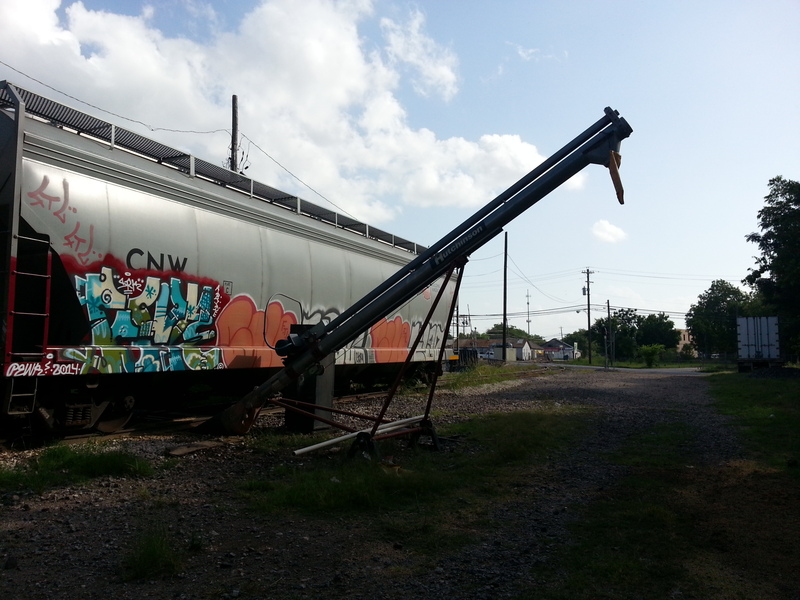 The “ghost” of the old ATSF wye in Pecos, Texas. In a future post, also due to the fine work of B. Smith, I will highlight the Pecos Valley Southern action during the same period. View of spur from road looking west. 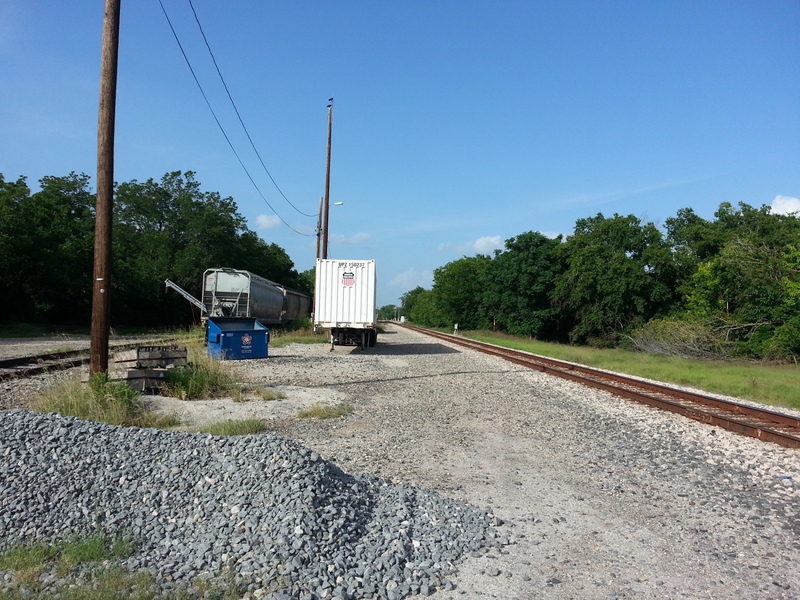 Along the Union Pacific in San Marcos, Texas, there’s an interesting short spur. The spur was busy June 16, 2014 . Two cars filled with what appears to be oats were spotted. 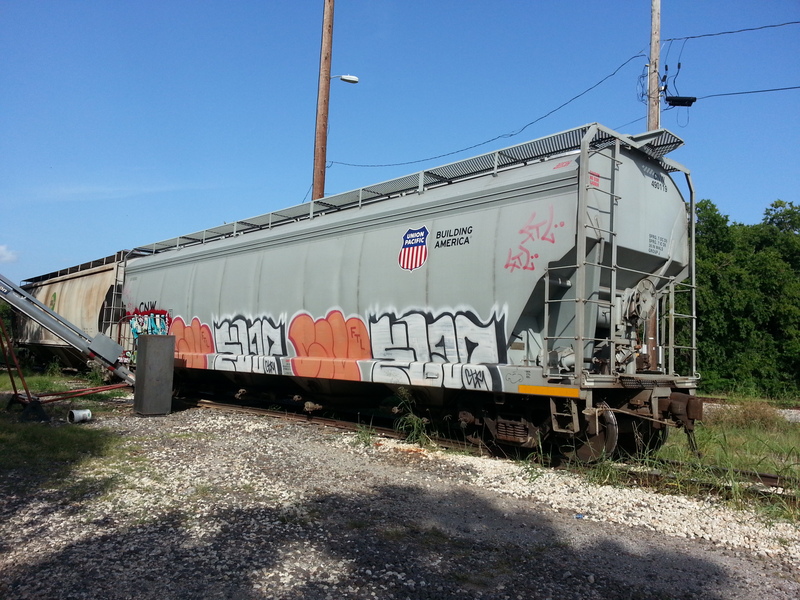 I discussed this same spur during the series on derails March 29, 2014. The unloading operation is simple and great for a model railroad–lots of operations, little space required. All you need is an auger. There are no kits of an unloader of this nature. It is a nice scratch-building opportunity. Here is a post of one modeller’s efforts. The oats unload into this bin. Bin into which the oats are unloaded. Then brought up the auger and put into a truck. This time, there was a second car waiting to be unloaded. 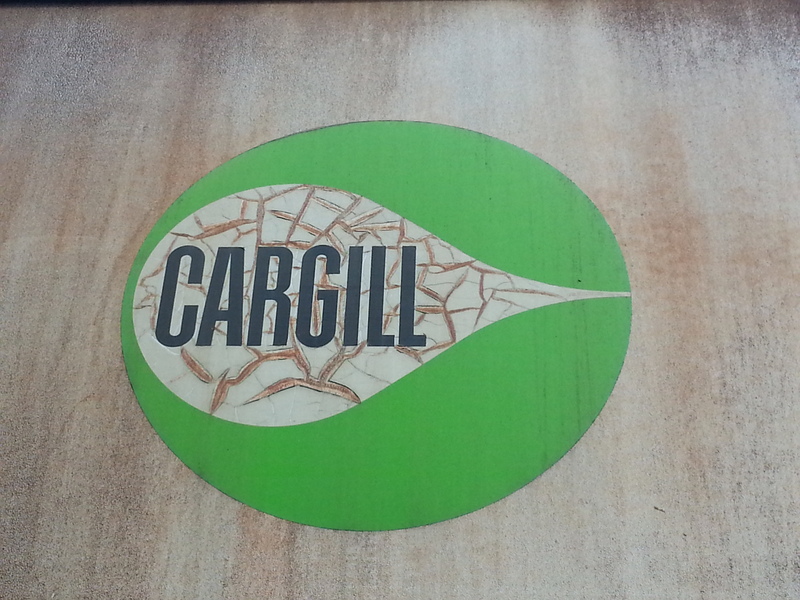 It had an aging, but attractive Cargill logo. 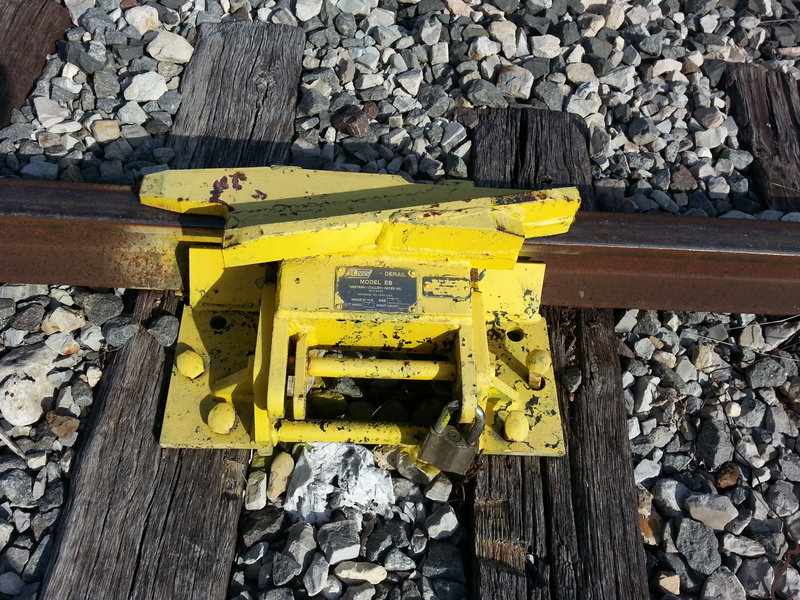 The derail I discussed March 29 is still on the job! Here is an aerial of the spur. Here is a close-up. 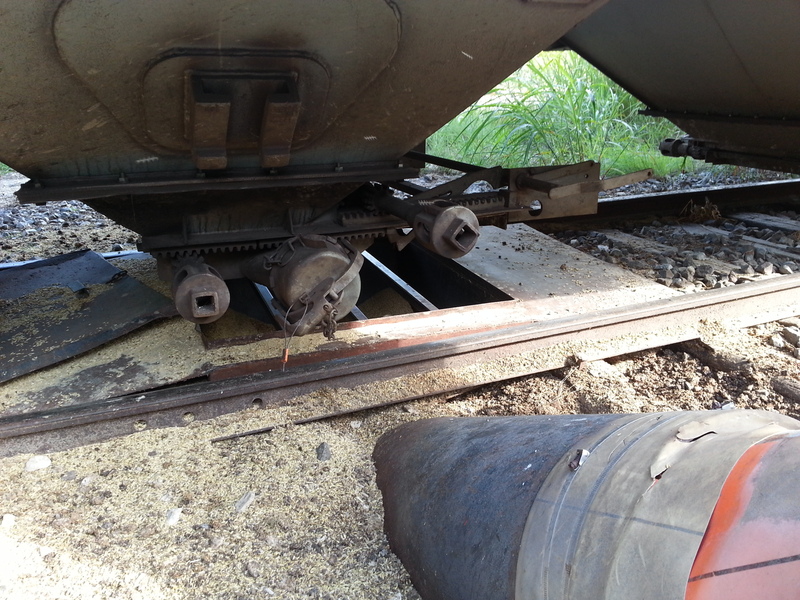 Truck to which the oats are unloaded can be seen in this photo. Note truck with red cab standing by to receive unloaded oats. Short spurs like this can add a lot of operational interest to layouts. More on Delaware in coming posts. See that light gray building to the left? 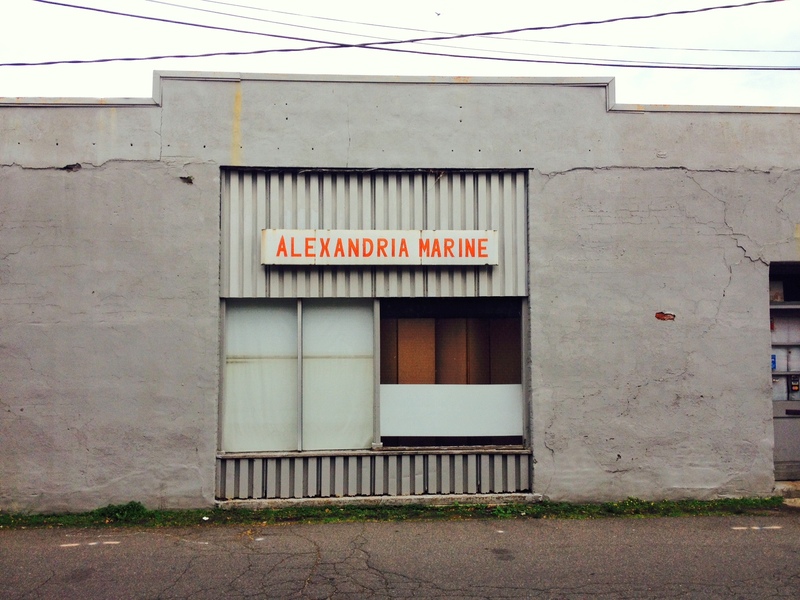 I was recently in Alexandria, VA. 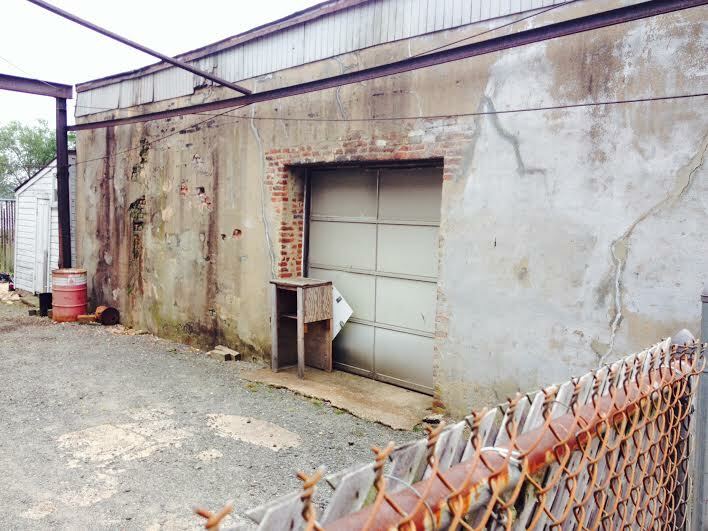 I knew this area on the Potomac waterfront was slated for substantial “tourist and quality of life” changes. I figured that building’s days were numbered so I had to check it out. 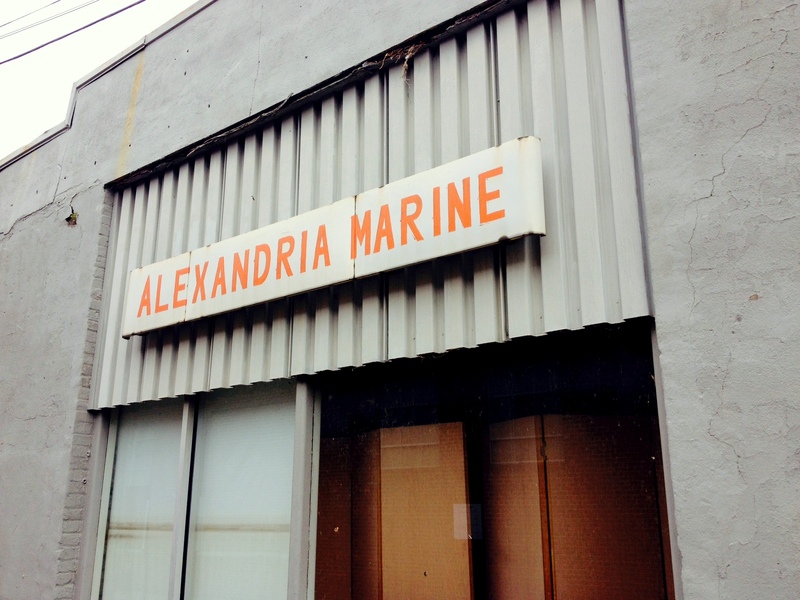 Alexandria Marine Service and Sales has been in business for 64 years. The locally-owned store sells new and used boat engine parts and also fixes outboard engines. The shop is located right on the Old Town waterfront. The Potomac river flows right behind the building. A beautiful and rustic setting. Check out the width of those walls. I hope they continue to use this building with the waterfront development. It would be tragic to see this solid structure come down. I wish we could learn to re-develop neat areas like this without losing places like this. It is so organic. Service yard where motors are (or perhaps sadly were) brought in. 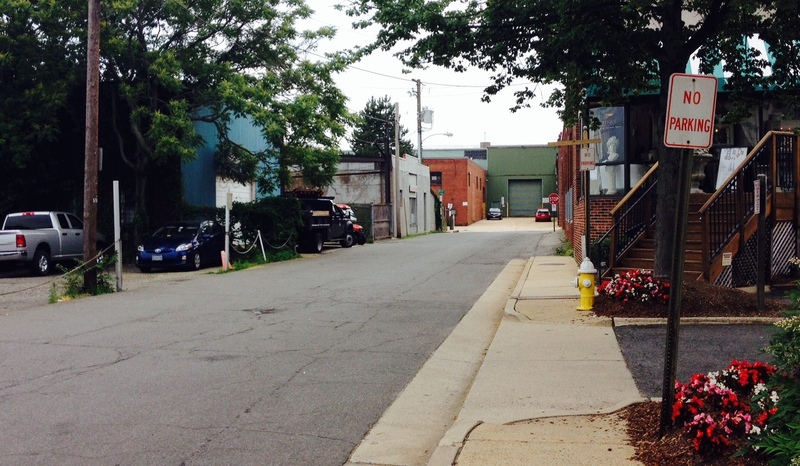 It will likely be a great project that Alexandria has planned with cool restaurants and a boutique hotel, but can’t we leave a little room for authentic businesses that have nothing to do with tourism? I know, I know, the real estate is too valuable. OK. Just saying. 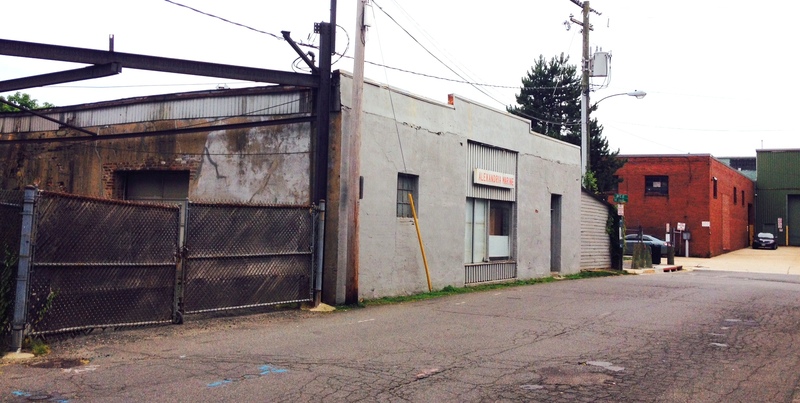 However, a business like this gives the area a sense of authenticity that is missing with many re-developments. 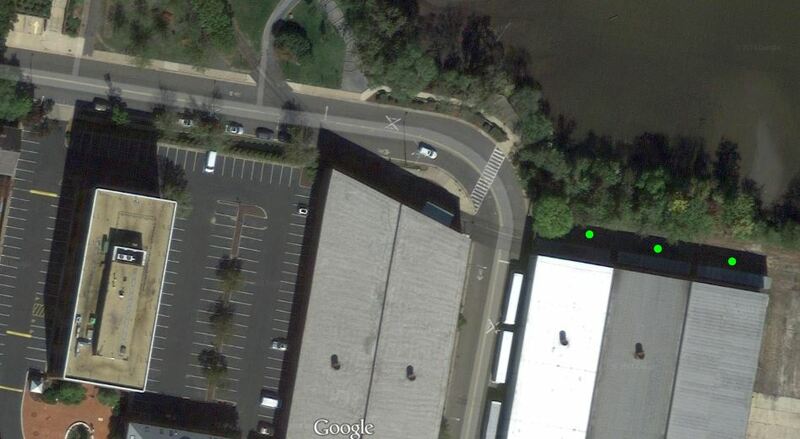 The three green dots show boxcars in 2014 in downtown Alexandria just a couple of blocks from Alexandria Marine. Street view. 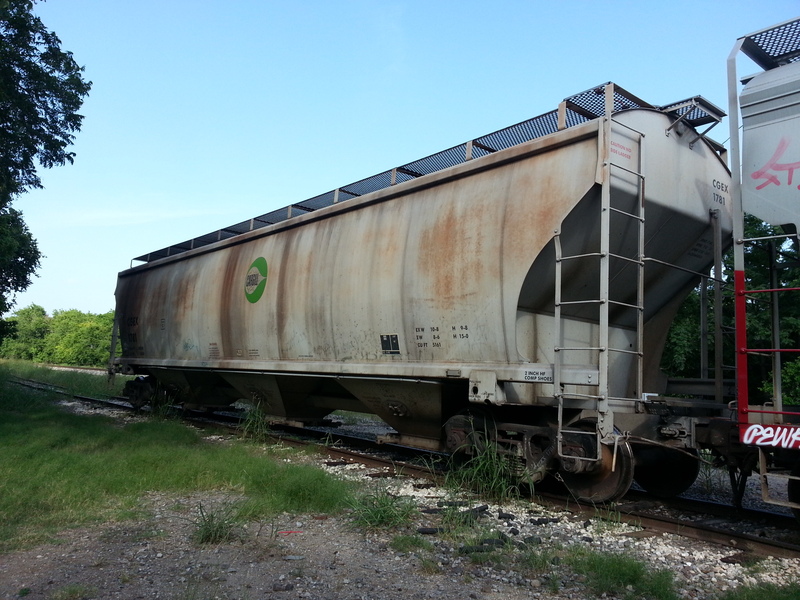 Green dot shows box car spotted at Robinson Terminal #1. Again, the waterfront redevelopment will likely be a very popular project with many benefits. I just wish we could save a little of the organic quality of our living spaces. 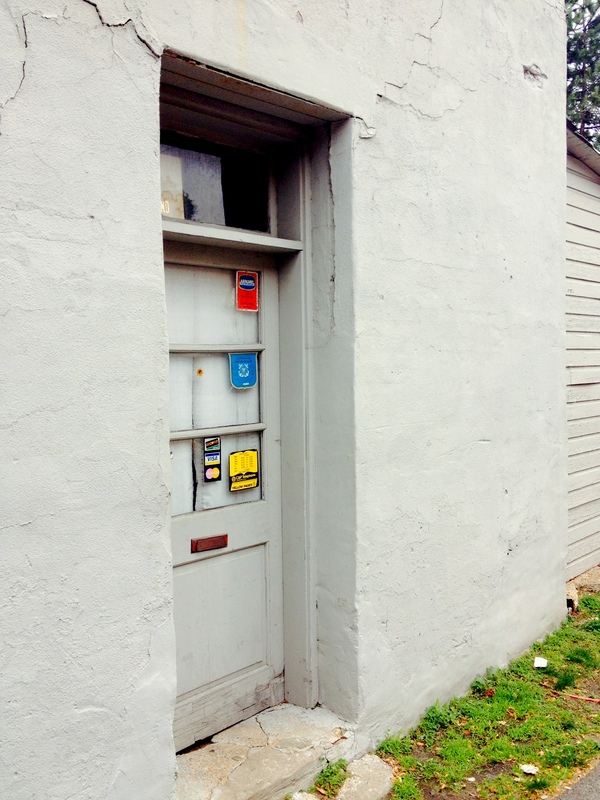 Buildings that help people make a living unrelated to tourism can be special in their own way. We need to get development professionals to be more sensitive to this.